CP Mono, another neat OpenSource typeface, fell into my sights a few months back whilst purposefully looking for a reasonably stylish mono spaced font for a new project. I try to avoid the many free font websites due to the sheer volume of dodgy and overused quantities of free fonts. At the time, the font was not available for download, just a teaser website. God I hate teaser websites, it’s too much of a anxiety issue for me. :) Thankfully, Tino, the genius from Berlin, had a comment system on his website, so I set about leaving a message from him, asking when it would be available for download. Thankfully, we didn’t have to wait long and Tino has now made it available as a Beta Download. The Font is a mono spaced and caps-only (as the original) with weights from thin to black. As a typographic experiment, every character should fit in the same square, vertically too. Diacritics and ascenders had to come down and later, when I decided to add lower case letters, descenders up. A variant with shortened descenders became a stylistic set and another set straightens angles in letters like A, K or V.
Some of the raw, mechanical charme of the original got lost in the process to keep formal consistancy throughout the family and to support legibility. As a soild headline font it does a pretty good job, in short copy text too. So far, I finished the set of upper and lower case letters, small caps, small figures and alternate forms in five weights. Tino has created a nice MicroSite for CP Mono and has several options for you to play with, as well as a downloadable PDF, there is also a place you can test drive the different weights and sizes. 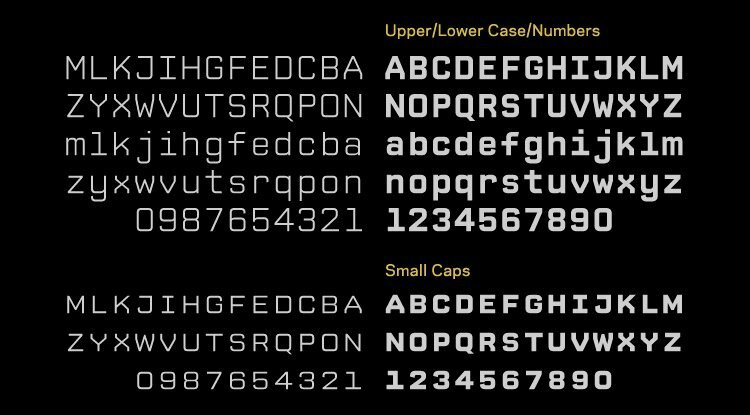 Visit the CP Mono website for the full briefing on this monospaced font and give Tino some props whilst you are at it. 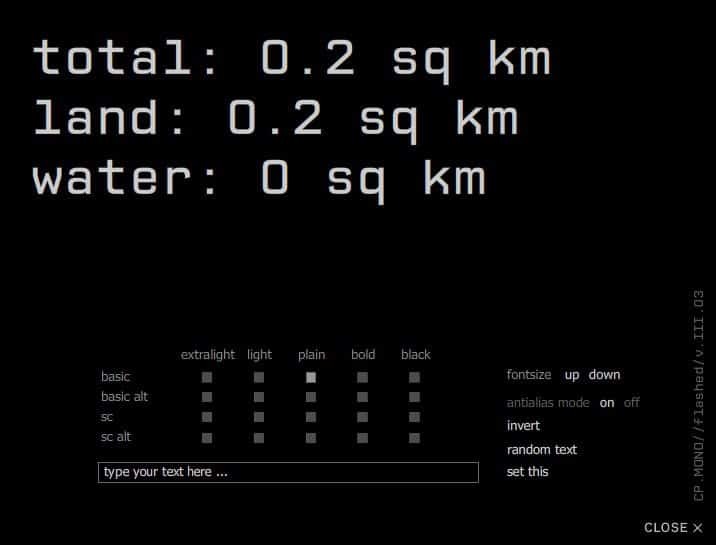 Download CP Mono Mono spaced font.